Like many of you, I’m the CEO of my businesses – Chief Enthusiasm Officer! I connect with hearts and minds and ensure they’re aligned with shared vision, values and right action. How we lead others is important, and one of the core parts of my business is leadership development; I love to influence influencers. You are all influencers, all agents of change, and it’s a real privilege to be write for you. Are you the kind of leader you would follow? It was Gandhi who replied to the question ‘What is your message?‘ with ‘I am my message‘. I like that, it inspires trust and respect, and I think everyone wants a leader who inspires in that way. Leadership exists in relation to others and involves 6E’s: having an Edge and Energy, being able to Envision, Enable, Empower, Energise and Execute Action. But it isn’t just about doing, it’s about who you are being as you are doing. Harvard Business School research shows just how much that matters, and how big of an influence a leader’s state has on others, and on bottom-line business results. NLP has always talked about the importance of state management and how we infect others with our state. Brain research backs this up and shows how leader’s moods and actions have a major impact on those they lead. The limbic system is our emotional centre, it has an open-loop system that connects with others for emotional stability. We call it ‘interpersonal limbic regulation‘, sometimes known as ‘emotional mirroring‘ and what it means is that you and your emotional state transmits signals that can alter hormone levels, cardiovascular function, sleep rhythms, and even immune function inside of others (Lewis, Amini & Lannon, 2000). Yale University School of Management found that emotions spread like viruses at work and at home. Smiles and laughter are found to be the most contagious emotions according to many researchers (Small, 2000; Provine, 2000). We are also leaders in our families, the same seamless person that moves between contexts. Remember to have good energy in your home too, that’s your base camp, and no-one conquers Everest without a good base camp. I remember a great leader who is a headteacher, John Pinnington from Notre Dame High School in Norwich. John told an assembled throng of students and parents how he didn’t want to be mediocre, he wanted to be ‘Outstanding‘ as a husband, a father, a headteacher. I loved that! An inspiring man! Research also shows that the more positive the states of the people at the top, the more co-operatively people worked together and the better the business results (Barsade & Ward, 2000, Spencer, 2001). For every 1% improvement in the emotional climate at work, which is most keenly felt in customer service, there’s a 2% increase in revenue. Harvard psychologist David McClelland (1995) says that how people feel about working in a business accounts for 20 – 30% of business performance. In contrast toxic leaders who spread bad moods and negativity create poor morale, declining customer service and satisfaction, high staff turnover, higher stress levels in staff with stress hormones continuing to move through the bodies of staff members up to 24 hours later (Zillman, 1993). Goleman likens these toxic leaders to the Dementors in the Harry Potter books! In which direction do you want to influence others? Leaders infect and affect others – so go there first, create a great state in yourself, and spread a great infection to others today! And along with your great state, remember what Jim Collins said: ‘If you’re doing something you care deeply about and if you believe in it, it’s impossible to imagine not trying to make it great.’ Be great, be outstanding! Collins, J. (2001) From Good to Great. Random House. Covey, S.R. (1991) The Seven Habits of Highly Effective Leaders. Simon & Schuster. DePree, M. (1992) Leadership Jazz. Doubleday. Goleman, D. (2003) The New Leaders. Sphere. Krames, J.A. (2005) Jack Welch and the 4E’s of Leadership. McGraw-Hill Professional. Leonard, G. (1991) Mastery. Dutton. Tichy, N.M. & Sherman, S. (1993) Control Your Destiny or Someone Else Wil. Doubleday. 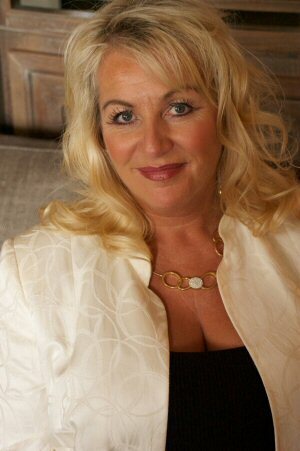 Kath has recently created two new enterprises: Coaching Heads, and Live With Passion Events. Kath Temple is an MSc Business Psychologist, International NLP Master & Trainer, and an Executive Coach who is passionate about making a difference and leaving a lasting legacy of positive change. She established The Lifelong Learning Company in 1995, and is a social entrepreneur who runs The Happiness Foundation, a not-for-profit NHS funded organisation offering courses in Breaking the Cycle of Depression, Overcoming Anxiety & Panic Attacks, and Happiness Matters in Families. She also runs World Change Agents which works with disadvantaged and troubled young people. Her private clinic is at The Saxon Centre, Beccles. We are delighted that Kath shares here experience and expertise with the3rdi magazine as The Inspired Psychologist each month.